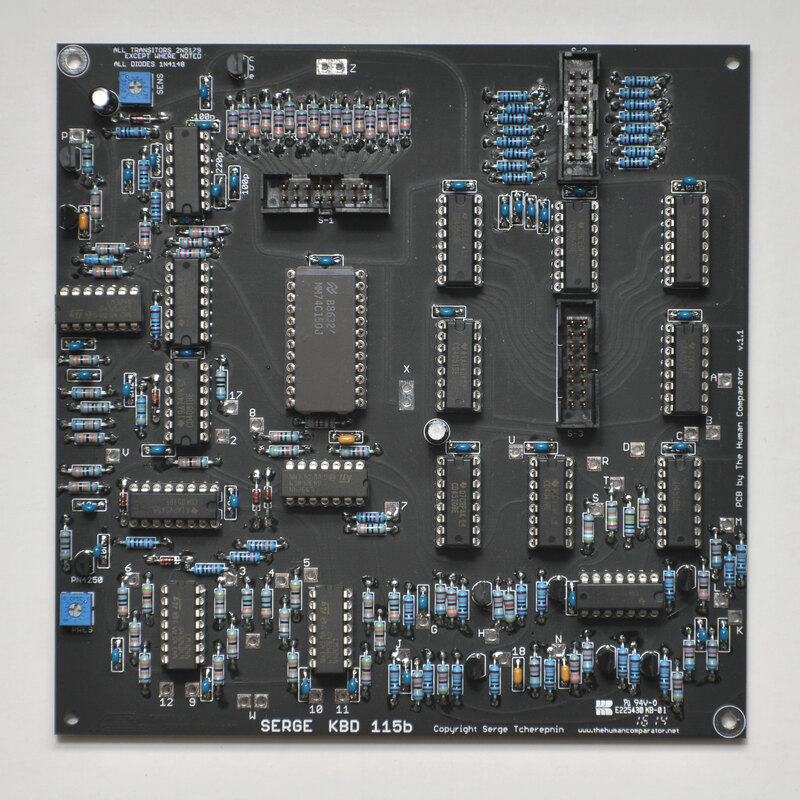 The main board is the brain of the TKB. This large board is pretty straight forward to build. Start with IC sockets and then resistors, followed by diodes and trimmers. Continue with mono block capacitors. Please note that the four 22pF caps down on the left hand side should be 100pF! Next up is transistors, the original board uses 2n5179 which are hard to get, so they’re replaced with the now more common 2n3904. Finish it with the 2 polarized caps and the IDC headers. Continue then to the pot mounting boards.